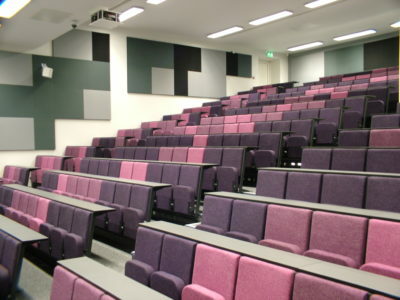 Whether you’re designing a new lecture theatre or revamping an existing one, you can create a range of different looks with Evertaut’s Diploma lecture theatre seat. 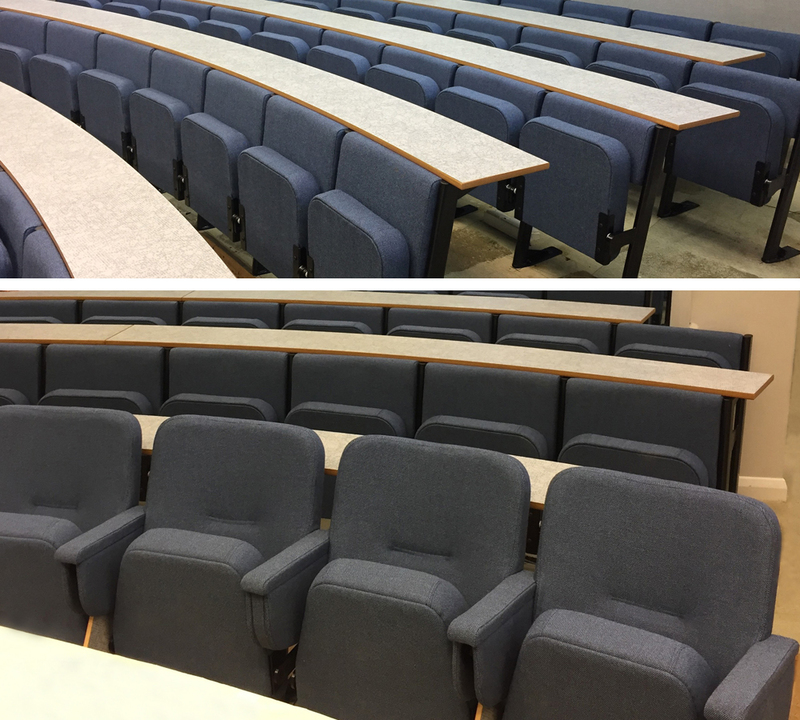 Here we show you a selection of installation shots where our popular Diploma seat has helped create a very different style in each of these university lecture theatres. 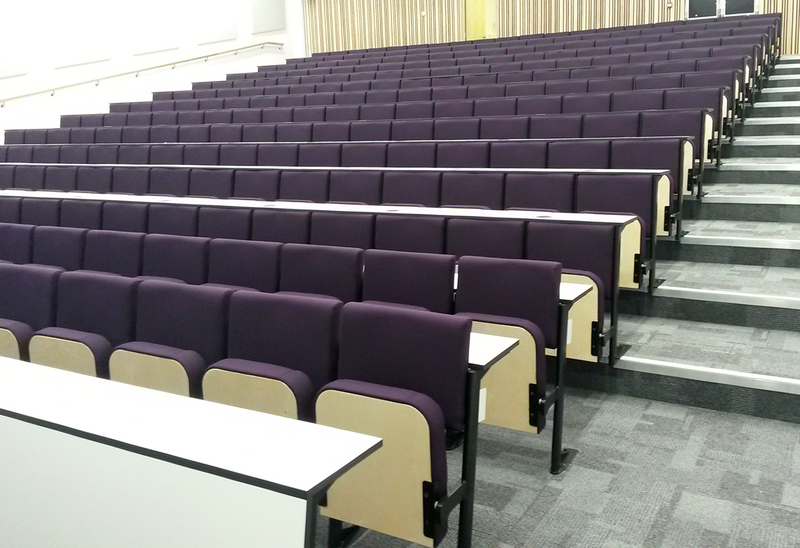 Deep purple fabric contrasts with beech coloured under-seat boards to give a smart, formal look. White walls and a neutral grey floor covering help keep the room looking fresh and bright. 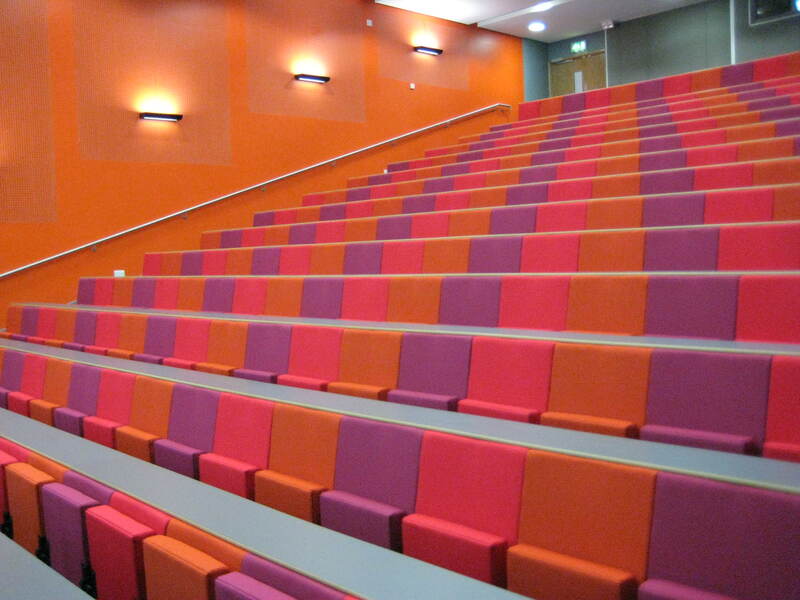 The Diploma with fully upholstered, square seats creates a very striking impact in this lecture theatre thanks to its uniform pattern of orange, purple and pink. Orange walls continue the bold theme whilst grey laminate desks break up the colour intensity. Smart blue-grey fabric keeps things business-like in this small lecture theatre where Diploma seats are fitted in curved rows. 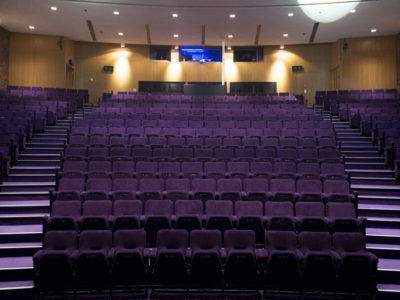 This same lecture theatre also features Evertaut’s Aspire Conference seating on the front row. The Aspire Conference features a fold-away writing tablet, eliminating the need for a front row desk. 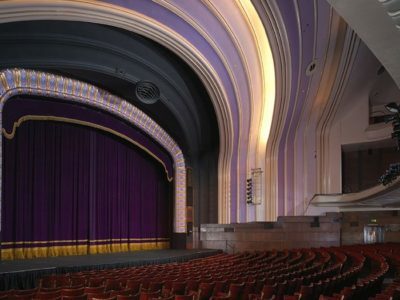 It is becoming increasingly popular for clients to choose Aspire for the front row and Diplomas for the other rows. 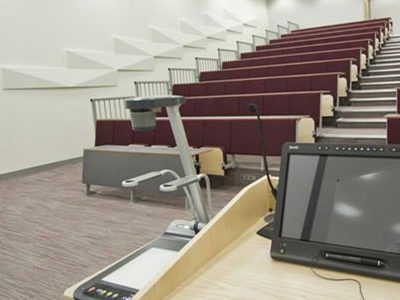 The standard Diploma was adapted for this lecture theatre where we created a bespoke design featuring individual fold-up desks to the client’s specification. Another bold use of colour on the Diploma, this time in a random pattern of heather tones. Pattern continues on the walls in grey-scale to match the grey coloured desks. 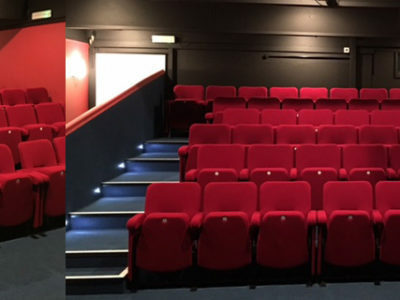 Pale neutral colours create a calm ambience in this lecture theatre whilst the blue LED lights in the staircase add a flash of bold colour to brighten things up. 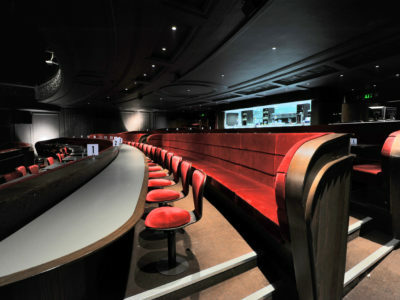 This press room features the Diploma upholstered in vinyl. 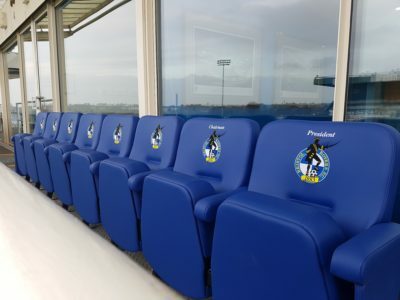 The professional look is enhanced with the organisation’s corporate crest embroidered onto seat backs. 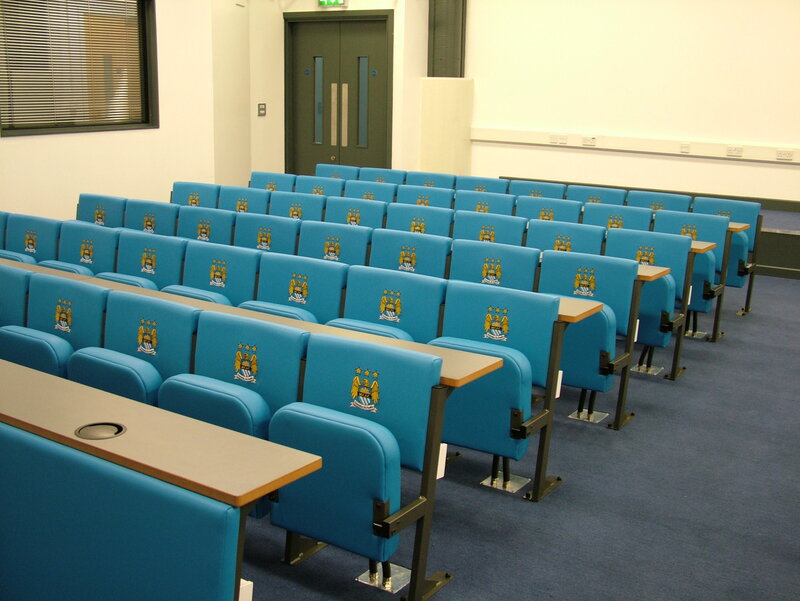 Whether you choose fabric or vinyl, we can embroider your university crest onto Diploma seat backs to create a premium look in any of your lecture theatres. 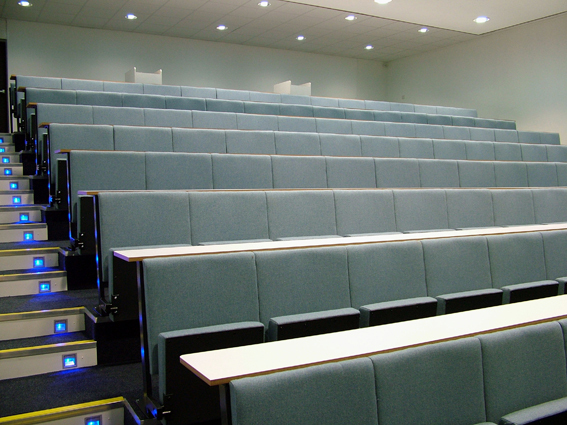 The Diploma is a versatile seating solution which can be tailored to your requirements. 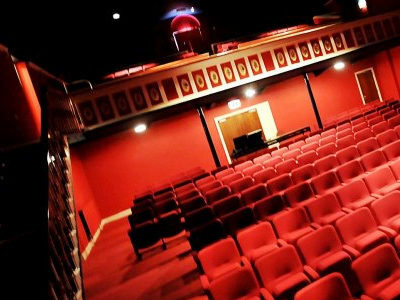 Choose from square or rounded seats, fully upholstered in a wide range of fabrics, or with painted or polished plywood outers. 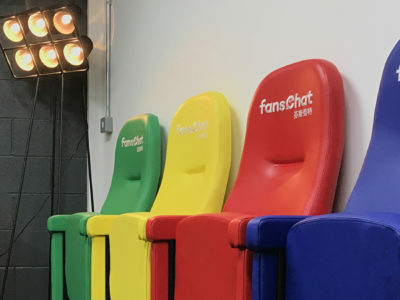 Desks are available in a wide range of laminate finishes whilst your choice of fabric colour will have the biggest influence on the look and feel of the setting. 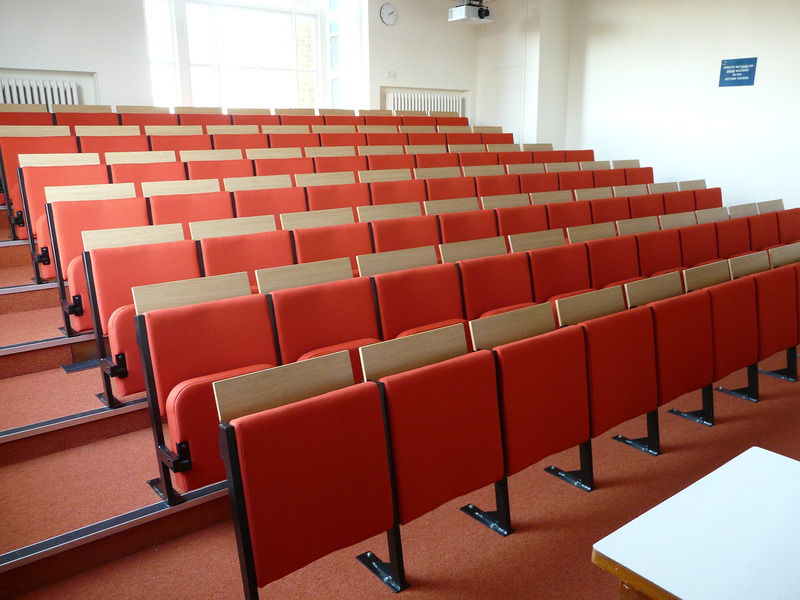 To make an enquiry about Diploma lecture chairs, please complete and submit the short form below.